I love getting new glasses, fact. It actually breaks my heart a little bit when people aren’t as excited about glasses as I am and I’ll be honest, I just don’t understand why so many people only have one pair. I mean, you have more than one pair of shoes for your feet every day, do your eyes not deserve the same? I wear glasses from the moment I wake up to the moment I go to bed and as I don’t wear contacts, that means not only do I have to get frames which I love, but also, I just want to have choice. Having several pairs of glasses isn’t unreasonable any more either. I remember when I was a poor student having to spend £200 on a pair of frames because they were the only ones I liked in the shop and I wouldn’t let a pair I didn’t truly love grace my face. I always said (and still stand by this), that I would pay what is necessary for the right frames as they’ll be worn every day, and that’s something I just wouldn’t compromise on. Thankfully, over the last few years, the online glasses market has exploded and my bank balance can breathe a sigh of relief that there are so many cheaper options available. I mean, right now, I own five pairs of frames with my current prescription in them whereas only a few years ago, I’d have had one pair for the full two years until my next eye test. Sob. To non-glasses wearers, imagine being told you can only wear one coat for two years, to every occasion. It’s just not an option, is it? Finding new places to shop for my frames fills me with absolute joy, especially when it’s at a great price. 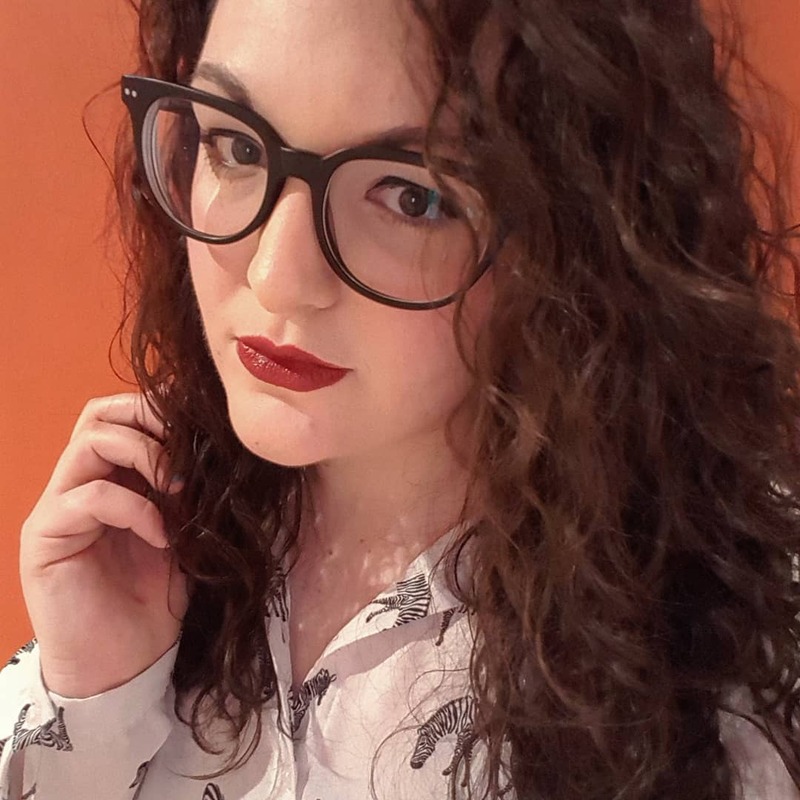 I was sent a pair of frames from perfectglasses.co.uk so I could try their service and I would highly recommend them to anyone – they arrived so quickly by courier. The best bit for me about their site is that you can filter their frames by size which isn’t something I’ve seen before – this is SO important to me when I have a larger than average head and often struggle to get frames to fit. Their prices range from budget frames at £9 to more pricey designer glasses (that are still half the price you’d pay on the highstreet). This to me shows how the glasses market is about making something which is a necessity an accessory. Though their frames are very affordable, the quality definitely isn’t compromised – when shopping for glasses online there is the myth that they’ll turn up and feel cheap, whereas actually, online retailers like Perfect Glasses simply save money in the overheads of not actually running an opticians in a central location. Having worn so many pairs of glasses in the past, I know that the ones I’m wearing from Perfect Glasses as I type this post are going to last – they’re really sturdy. Overall, I feel like I’ve been introduced to an absolute gem of a site and I’ll definitely be shopping there again in the future – I’m already eyeing up some prescription sunglasses for when the warmer weather kicks in (though that feels very far away as Storm Doris is currently battering my flat outside). Do you buy your frames online? Do you just have the one pair or do you have a few for different occasions? Let me know in the comments! These really do look good on you! I always thought I'd suit glasses but alas, I was cursed with perfect vision! Glad you're on the up!